Authors are forever surprising readers with how creative and inventive they are! How many times have you found yourself sitting there in awe of their talent, and wishing you had just a fraction of their abilities? 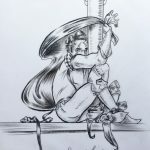 That makes it even more impressive, then, when an author that comes along with ANOTHER has a hidden talent that just BLOWS EVERYONE AWAY. Laurent Linn is one of those authors! 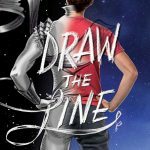 The Draw the Line author didn’t just write an incredible story. Oh no. He also illustrated the novel. Laurent’s novel, Draw the Line, follows Adrian Piper who is used to blending into the background. He’s a talented artist, a sci-fi geek, and gay, all traits that should put him safely in some kind of social circle, but at his Texas high school he finds that he mostly prefers to keep to himself and his art work. But when a shocking hate crime flips his world upside down, Adrian must decide what kind of person he wants to be and how he will go about becoming that person. Maybe it’s time to not be so invisible—no matter the risk. What happens when you cross a talented author with an accomplished designer? This STUNNING book trailer! 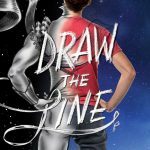 If we (somehow) haven’t convinced you to read Draw the Line yet, this book trailer will! Watch the trailer and then check out the extended excerpt (illustrations included!) which is available until July 31!